Our final piece of the Terumah Project was installed today and can be seen on the wall to your left as you walk into the sanctuary. I’m told that the local artist who created it said that this piece, although by far not the largest, was the most complex piece of woodworking he did for the entire project. 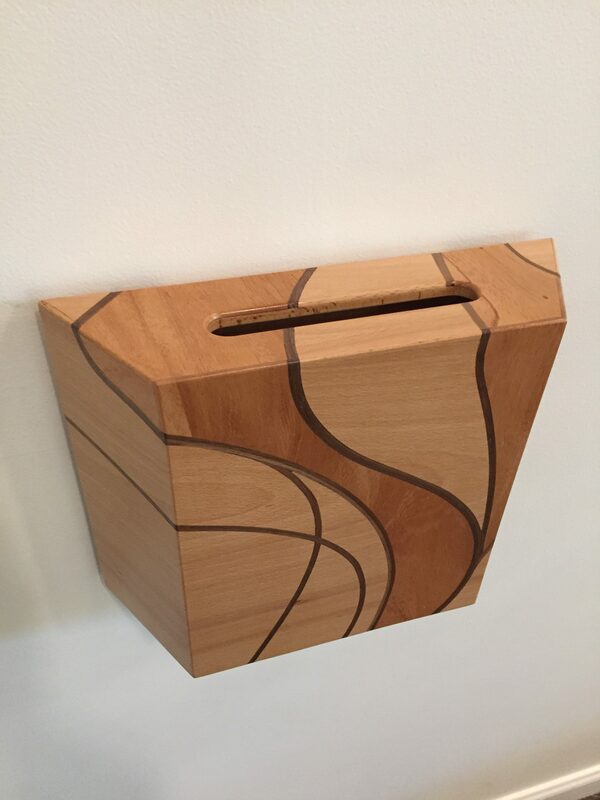 It is a work of art as well as a functional tzedakah box.